The site for this housing scheme in south Manchester was previously used as tennis club which over time had become disused due to dwindling member numbers. 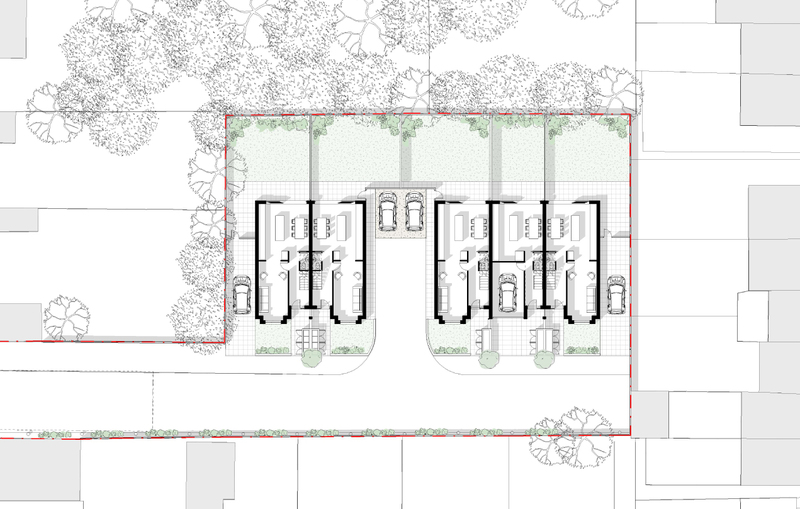 Artform Architects were approached by the client who had purchased the site in order to develop it for residential use. 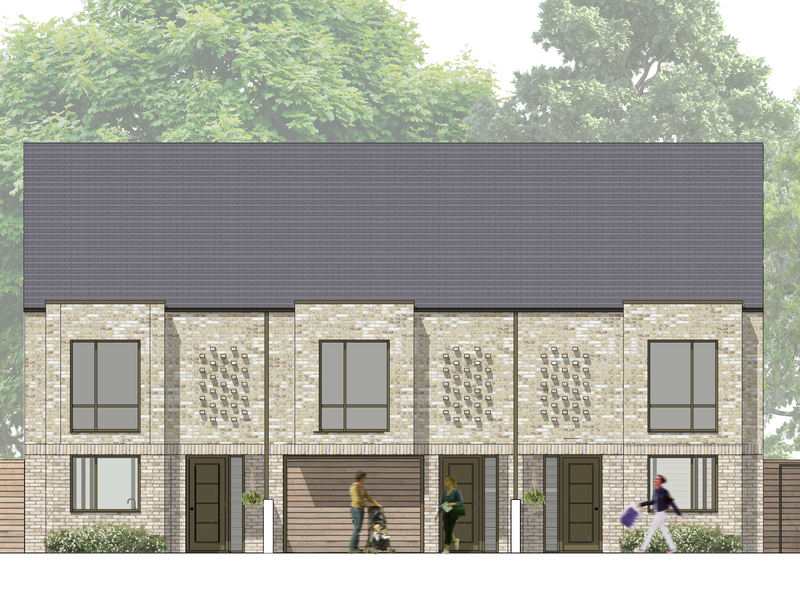 The brief was to design a series of houses on the plot that responded to the surrounding context and provided high quality family housing in the local area. 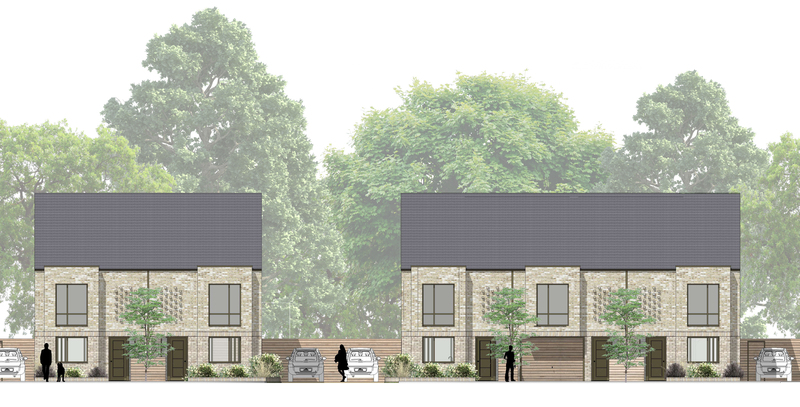 As a backland site overlooked by neighbouring houses on two sides, our proposal seeks to regenerate the derelict site with a simple row of 5 new build houses with associated front and rear gardens. The houses have been designed to ensure the scale, size and proportion are all in keeping with the local context and provide a visually engaging response to the local architectural character of Whalley Range and the nearby Conservation Area. 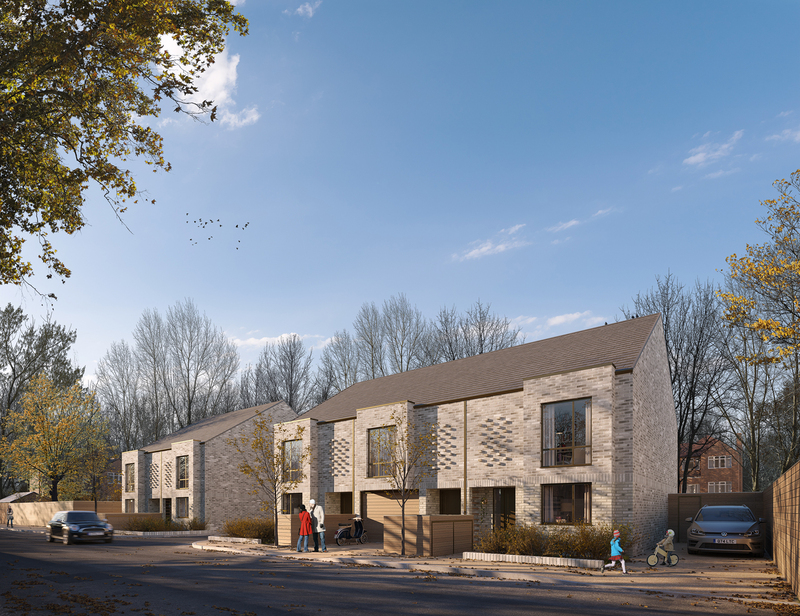 Through a carefully selected pallete of materials and an attention to facade treatment, the scheme provides a modern yet sensitive addition to the housing mix in Whalley Range and contributes positively to the overall housing supply in south Manchester.